Web Site Hustle: How To Make Extra Money On The Side with Wordpress. Looking for a skill that can make you extra money on the side? The WordPress CMS powers 30% of current websites online. 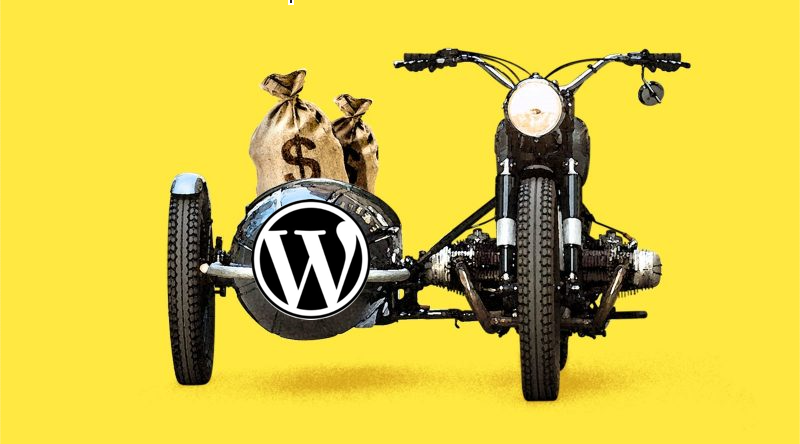 Learn how building WordPress websites in your spare time can be a lucrative, rewarding side hustle. A side hustle you can actually learn. These days, everyone is looking for a side hustle. Being able to work for yourself and be your own boss is most peoples dream. Generating extra income each money wouldn’t hurt either. Starting a side hustle is considered a great investment in yourself. The problem is, many people don’t think they have any skills someone else would pay for. There are plenty of skills people can learn that are proven to be in demand, with some being more difficult to learn than others. For each of these skills, there are unique target markets willing to pay for knowledge around those skills. Website design in particular falls right in the sweet spot of medium difficulty and large target market. There are plenty of levels to website design. Advanced websites and web applications take strong knowledge of coding languages, which takes years to learn and perfect. These type of web design jobs are best left to the full time professionals. Building a simple functional website for a small business on the other hand, can be extremely straightforward and easy to learn. Ok, its a little more than just those three steps. But, once you are past the initial learning curve, WordPress makes building websites easy and repeatable. Finding someone to pay you to build a website. All over the world, there are small businesses with old or outdated websites. Each of these businesses paid for some kind of web design in the past. Many are now outdated and old, collecting cobwebs on the internet. These sites are insecure, hard to maintain, prone to malware, and have other pitfalls. Creating a blog post on these dinosaur sites is impossible. These business owners know in the back of their mind that having a website is important, but many business owners don’t have the time to build a new website themselves. Luckily, building a new WordPress website can solve many of these issues by providing a fresh slate. WordPress has security, ease of use, and the ability to create blog posts built in. These functionalities are much more than many business websites have today. It’s an easy value proposition to get business owners to pay you for your service, using your new website building skills. One client a month = An extra $6k per year. By going to these businesses with a plan of action to build them a new WordPress website, you can provide immediate value. People are happy to pay money when they know it will bring them value in return. A website usually is the first impression a business has with its customer. A website that makes the right first impression on customers can be priceless. Many small business owners would happily pay $500-$1000 dollars for someone to make their website look great. A $500 dollar investment in a new business website is usually an easy decision for the owner. Most of the time, the only reason businesses haven’t re-done their website is because no one has approached them about it. Taking on one client per month for a $500 dollar web redesign would equal an extra $6k per year. This alone could offset your car payment every month, by putting a few extra hours a week! Creating a basic WordPress website for someone is just the first step in starting your own Web Marketing business. Adding things like SEO, Hosting (via Amazon Web Services), Managed Backups, and other services can drive up the amounts you charge customer for website work. Building websites can be a fun, creative outlet. Aside from generating extra income, Website building can be a fun creative outlet. Because my day job is technical, I don’t have the ability to be visually creative. Working on a new web design allows me to exercise my visually creative juices. I’m not an artist, but putting together a great looking, functional website for someone can sometimes feel as rewarding as creating art. I find that the more I work with the WordPress CMS, the sharper I become in designing functional websites. I find it rewarding to teach myself a new skill that makes me consider design, psychology, function, and more when putting together a new site. Looking to take the next step in starting your WordPress web design business? Sign up for my newsletter below. I’ll show you everything I’ve learned about starting a web design side hustle, and how you can do it too.